Previously in the prospect of buying apartments I had assessed Kanakapura road and Electronic city to understand how and why real estate is shaping the way it is, around Bangalore and was trying to find a justification of how builders’ price an apartment and if it is actually valid in terms of the amenities and what they have to offer. In the course of this I travelled to the next belt after Electronic city, dear old Sarjapur Road. Or I would like to call this belt the Venice of Bangalore. The reason being Rajukaluves and Lakes are just about everywhere. Its literally a swarm of lakes in this area. With this being the situation, I planned on checking out the apartments in this region and I found it funny that many of the builders have themed their apartments on the lakes on the banks of which the apartments reside. So, unless you have been living on the moon for the past few years, you should know the BBMP requires you to have at least 80 mts for a natural water body and 50 mts for a Rajukaluve as a buffer zone. In case the property lays within that according tot the regulations your property is deemed encroach able. 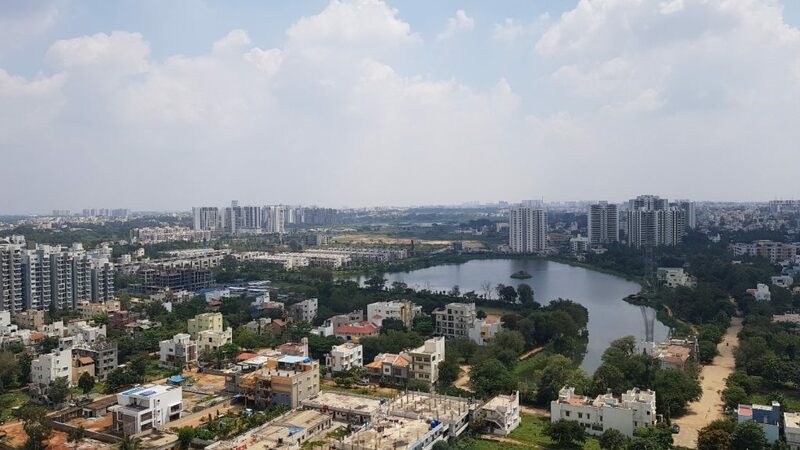 Sarjapur road is another important road in the terms of Bangalore geography with rapid development and population influx. It is also boastful of good connectivity hence there are quite a few companies which are springing up as well as making the influx of population justifiable. Now here I seek to find if the prices that are quoted by the builders are actually worth it, if juice isn’t worth the squeeze, the squeeze is just wasted effort. And here the wasted effort would be your life savings. 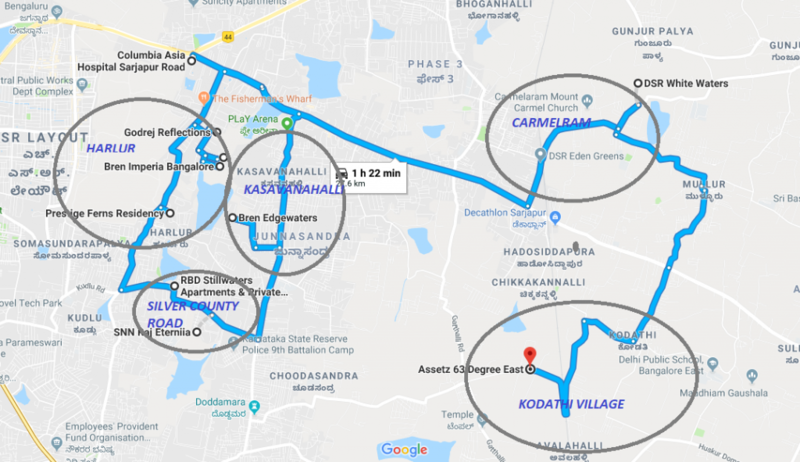 So, my Sarjapur belt exploration was quite a long day, with the number of apartments that are coming up in the area it would take a whole day to just visit them, its funny how builders have built 1000 + unit apartment’s in places that barely have good roads. 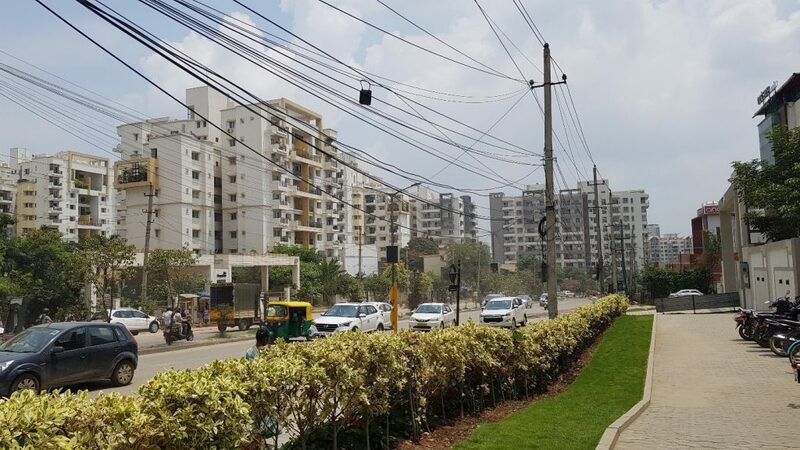 Yes, Sarjapur road has good connectivity but it doesn’t mean that the connectivity of all the apartments are amazing. The last 3-4 Km drive to your new place might just push you over the edge. So, this being said I had marked the main apartments that I wanted to visit, the first cluster of apartments were in the property called Shubb Enclave, which basically is a 100 acres community off Harlur road. I took a right off Sarjapur road into Harlur road and then a left a bit further and guided myself into this property. The roads were quite small considering three high profile apartments were coming inside that area. And the roads would not be expanded because all are sites and there isn’t further room to wide the road into the apartment location.